Why Buy a Plymouth Sales & Lettings Property? WHY BUY A PLYMOUTH SALES AND LETTINGS PROPERTY? Plymouth Sales & Lettings (PSL) pride ourselves on our customer service. We are large enough to compete with the national estate agents yet small enough to provide a personalised service. We work from the heart of Plymouth and with over 50 years combined experience in management and property sales giving us a wealth of knowledge of Plymouth, Devon and the surrounding areas. We also have key relationships with all the professionals you need to support you throughout the buying process from start to finish. Buying a new home and moving can be one of the most stressful times in your life experience. We are lucky to have a sales team to give you advice with guidance through the purchase procedure and can iron out any problems that may occur. Our reputation through our staff has given us the ability to advice customers in a professional manner and has lead us to where we are today, which is being one of the most trusted and respected agents on the high street. Our highly trained sales team are specialists in letting and selling a variety of varied price ranged properties in Plymouth and the South West regional area. Whether it's a private, commercial, residential, agricultural or industrial property, we act for clients accepting their instructions. Every form of dwelling or property is included. Houses, bungalows, flats, apartments, country cottages, farms and land for sale, rent or development. While supporting traditional estate agent codes for practice, methods and duty of care, here at Plymouth Sales & Lettings (PSL) use internet technology to supply us with maximum coverage across the area to ensure each property marked by us will receive the greatest amount of exposure. This will show the property to many potential customers and buyers so as to achieve the best possible price. Every property listed will have exposure to approximately six websites 24 hours a day, with the capability of downloading full colour details in high definition. We also maintain a colour exposure add in the local property newspaper which is regularly released free of charge. 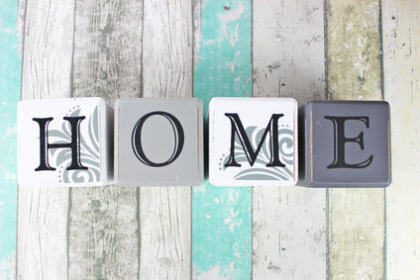 When purchasing a new home some people can find it to be exciting, mind blowing and quite challenging. We are in place to ensure the procedure goes smoothly without a hitch. This begins with helping you find that new home you've been dreaming about. It doesn't matter to us if you are a first time buyer or a well-oiled seasoned buyer. Give us a call as we can help. Just let us know in what area you are searching and we will take on board the search. We have methods in finding that right property which sometimes includes touting the required areas to find that special property. 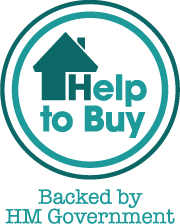 Remember the Government's Help to Buy scheme could help you get on or up the property ladder - Its their for a reason so use it. Call Plymouth Sales & Lettings (PSL) now on 01752 212928 and talk to one of our buying advisors will answer any questions you may have, can placed on our property mailing list and once registered we will notify and invite you to view any properties becoming available for sale that may meet your needs as soon as they become available. Should you decide to make an offer on a Plymouth Sales & Lettings property, you will be assigned your own buying advisor who will be your point of contact throughout the whole buying process and will keep you abreast of all developments regarding your property purchase. We all understand from personal experience that there is nothing more frustrating than having an offer accepted on a property and then not to be kept informed of the progress of the sale, having at times to personally chase solicitors. This is not the case with Plymouth Sales & Lettings (PSL) as your buying advisor will do all the chasing for you and inform you of all the services we can provide. As a Plymouth Sales & Lettings client you will be able to use our maintenance company Acorn Building Solutions at a reduced rate. Acorn Building Solutions will be able to survey your chosen property to ensure it is structurally sound before you sign the contract. Plymouth Sales & Lettings also have a team of independent mortgage advisors who can help you find the right mortgage for you at a price you can afford; see our mortgage page for more details. 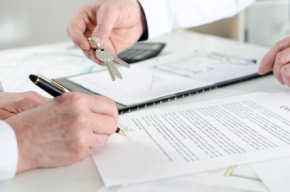 Buying and selling property can proof to be a very stressful procedure. Our recommended Conveyancing law firms can provide you with the practical clear knowledge and advice you will need tailored around you and your circumstances while keeping you fully appraised at all times. Our prior to marking reviews ensures that we can identify any hic ups or pitfalls that may occur before they become an issue therefore eliminating them. We have agreements in place with our local law firm and solicitors giving us a very trustworthy relationship with them. We also can supply you with an abortive fee system scheme if your sale or purchase should fall apart. Our law firms can guide you and give you advice not only on the basics but usually cover a much wider issue dealing with the buying and selling of properties. They can help in matters such as cohabitation agreements so that if you are sharing your property with another party your interests are looked after and protected. Buying a new home is a big step, maybe the biggest step you will ever make. Whether its your first home with your first mortgage, or moving up the next rung of the ladder with your second or third home move, or even relocating due to demand from work issues, you put your trust into an agent to look after your interests and guide you through the whole procedure allowing you piece of mind. UNFORTUNATELY THIS IS NOT USUSALLY WHAT HAPPENS. Be aware that agents always represent their client first and act on behalf of them. The client is called the vendor. You as a buyer are still a very important piece of the purchase as without yourself there would be no sale. Unfortunately though the vendors instruction to the agent are the wishes the agent act on as they are legally bound to do so. So what does this mean for you the buyer or purchaser? All you want is the agents' honest advice, you trust them and want the truth with no lies. You want them to take care of you. But how do you know they will do this? The most periling time once you have agreed a price for a new home and the purchase process has begun, is the time taken from once agreeing the price to the day you move in. In this time anything that could go wrong can and just may go wrong. Here at Plymouth Sales & Lettings (PSL) we have a specialised after sales service in place for all vendors and purchasers. This system means that throughout the sales period where potentially something could go wrong, we keep ourselves right there in the middle of the situation, monitoring every action and advise the vendor immediately of any change of circumstances which may be reversible if caught early enough. We do this, as we want to ensure that all of our sales are met and proceed to completion at the earliest date possible. This specialised service has proven to work as since it's been in place it has rapidly decreased the number of purchases that have fallen through over the past year. This means you can be rest assured that if you purchase a new home through us, our team will do everything in our power to ensure you do move on moving day. All of you out there are important to us, whether you are existing customers and vendors or potentially new customers or vendors. Without one there is not the other so whoever your are you will receive our immediate attention, help and advice by guiding you through the complete procedure from your initial viewing to the actual day we give you the keys. We will talk and liaise with your solicitor, financial advisor and appoint further viewings of you new home so as you can get a chance to measure up for any curtains furniture and so on. The small insignificant things really do make a difference and matter. It makes the move totally stress free. The best part is we do it and love it as by providing this service to our purchasers' means they are delighted in moving which keeps our vendors happy too. It is possible to put a smile on everyone face, we know as we do it all the time. We are looking to join and have a membership with The Ombudsmen for Agents, National Association of Estate Agents and the OFT. These associations are all governing bodies for which Estate Agents must follow their professional standards & procedures set out by them and established through training to acquire the qualifications for best practise to those who request it. This means you will receive the best service available from an approved, regulated professional team at a time in your life when you could really do with the help and who are answerable to a governing body. SO HOW DO I GET AN AGENT ON MY SIDE? An agent will take instruction and work for the vendor. The problem is they will only get their commission payment if a sale is made and a deal is completed. By getting them on side can increase you chances of being number one in the queue when arranging viewings and can help you negotiate a better price for you. Stay away from the naughty file as to be in their bad books can lead down the path of never getting a deal with them. Make an appointment with them and be there in person to show whom you are and let them know what you want. By doing this you're now on their radar as someone looking for a new home. Its much more effective than by using a phone and them having to put a faceless named person to your needs and requirements. You need to do this with all the agents in your high street you want to deal with. Show you mean business from the beginning. Many people are just time wasters and talkers. You can talk about it forever, proof to the Agent you are a doer and not a talker. You need to proof your serious about this move from the start. This can be achieved by getting confirmation of a mortgage agreement set up in principle at the start and before you begin your search for a new home. By doing this you will be in a position to act fast when you find that special property and the agent will know this and put you at the top of their list and in their foreground thoughts when a new property comes onto the market. Whoever you are dealing with at the estate agents make sure you take their contact details and give them yours, this being name, email, and mobile phone number. This assures you a point of contact and to set the foundations for a business relationship as a customer or purchaser with them. Sometimes it can be less of a headache just to deal with one sales person rather than having to repeat your circumstances to the entire team. Let them know your budget, don't be completely accurate, just a rough idea as you have to be a bit clever with your negotiations. If you let them know your full financial circumstances it may work against you in negotiations due to the agent knowing you got it and can afford it. Ask the agents for their opinion, what do they suggest? Do this before telling them exactly what you want. You will find a lot of agents have a large database of knowledge and just love to share it with others. In your initial meeting divulge to them the type and style of new home you are searching for along with what areas you would like to be in. Be clear with them to which of your requests are not negotiable and to what you can be flexible with. Once you have been on a viewing let the agent know exactly what you thought, was good and bad about the property. This information to the agent will allow them to paint a more exact picture of the type of new home you are wanting. Do not view properties that are not within your budget, by doing this will only anger the agent and it will also make you feel gutted about your actual new home you end up choosing as it will not compare to the much more expensive home. Call the agent regularly, every couple of days either pick the phone up or pop in. let them know and understand your still looking. Don't wait for them to call you. Request to see any details of new properties that may be coming onto the market soon. If a period of time goes by and the agent has not spoken with you they will take the opinion that you are now no longer on the hunt for a new home. If the agent does contact you either by text message, answer phone message or email, make sure you do respond to them even if your just letting them know why you would not like the house they have suggested. Once you have found that special house to become your new home, you have submitted your offer into the agent and its been accepted, its good practice still to stay in touch so as you can book further viewings for things such as mortgage valuations, surveying, measuring up for furniture or even curtains and nets. The really nice homes are sold really quickly, making yourself available to be there at a drop of a hat to view them will increase your chances of getting a really nice property and it will show the agent your serious about this. By not showing to viewing or not bothering will have the reverse effect on the agent. They will think your wasting their time and they will not want to know you any longer. Even though Estate Agents work from the instruction and on behalf of the vendor or seller, they are still highly motivated in achieving the highest price they possibly can get, but they can have another interest that is in your favour. If they do not sell the property they will not earn any commission for the works or effort they have put into it so far. If there is only one Estate Agent being a sole agent they will have concerns that if they do not agree a sale price with the vender they will withdraw their property out to a number of Estate Agents or multiple agents. They may be in a multiple agent marking scheme for their property, so the agents concerns then are that if they do not sell the house, another agent will, so they will loose any potential deal. This often is the case why an agent can be found to be keener than the vender to accept an offer of a lower price to ensure they get any commission due from the deal. Sometimes a property has been on the market for a while and proofing hard to sell due its location or it may be overpriced. If you show interest on a property like this it is much easier to get the agent on your side to try and get the vender to agree a reduced price. The agent can advise the vender that they should seriously consider the offer of maybe ten or fifteen grand lower due to the circumstances of its location or its just plane overpriced. It may be a large sum of money for the seller or buyer but to the agent its only about two to three hundred pounds loss in fees but its more cost effective to get something in rather than loosing it and getting nothing. All Estate Agents are people like you and me just trying to do their job. They work long hours and struggle with a very competitive market on the high street. So always be polite and nice to whomever you speak to. Remember to treat people how you want to be treated yourself. If you show your charming you may just well get them onside and favour you. 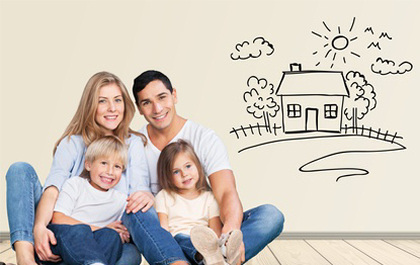 If you haven't got time, working yourself long hours or maybe working aboard but need a new home for your family then you can use a buyers agent who will represent you and do all this above for you keeping you regularly updated of the current situation and relieving you from the pressure.